Tis the season to give the gift of a brand new tattoo! Gift certificates can be purchased for the shop, or for your favorite artist. 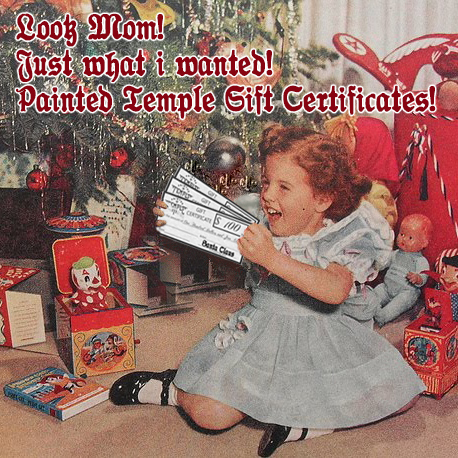 Stop by the shop today and grab a Painted Temple gift certificate for someone you love, and maybe one for yourslef too.